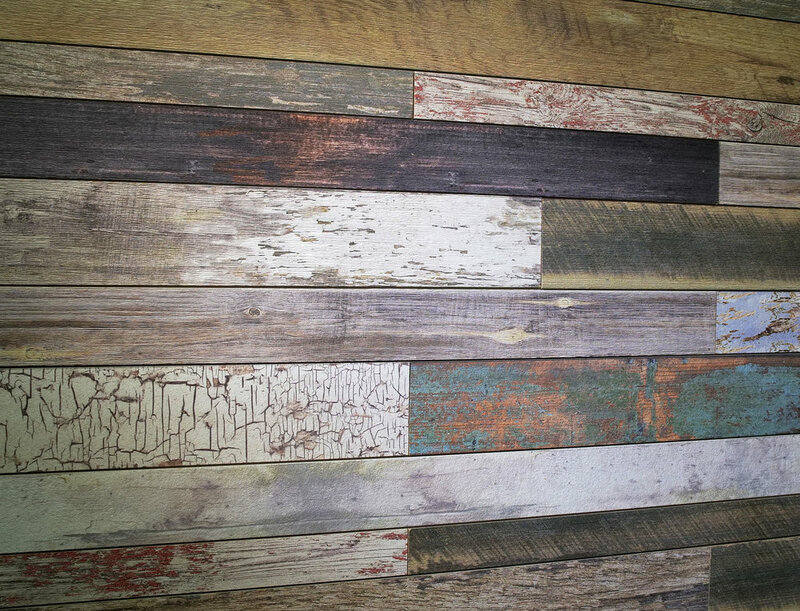 Update your home, office or retail space with the feeling of reclaimed wood - either in white or mixed old paint textured ship lap wall planks. Choose to fit the planks snuggly together or space apart as desired. NOTE: Old Paint Mixed (only) is made up of three different sized planks.